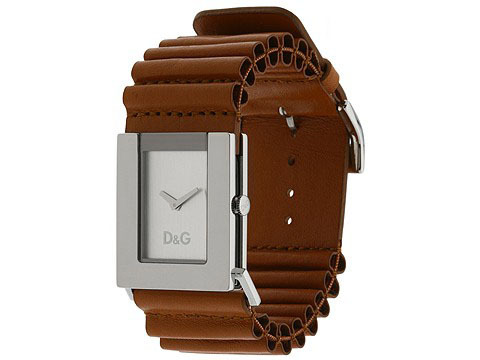 A stylish and unique watch by D&G. Made of leather and stainless steel. 3 ATM water resistance. Dimensions: Face Width 16 mm Face Height 24 mm Face Depth 8 mm Band Width 29 mm; Buckle closure.